As a young child I remember reading books about mythology from all over the world and feeling a very strong connection to each of the mythical beings, even though I never recognized myself in the illustrations for the texts I read. 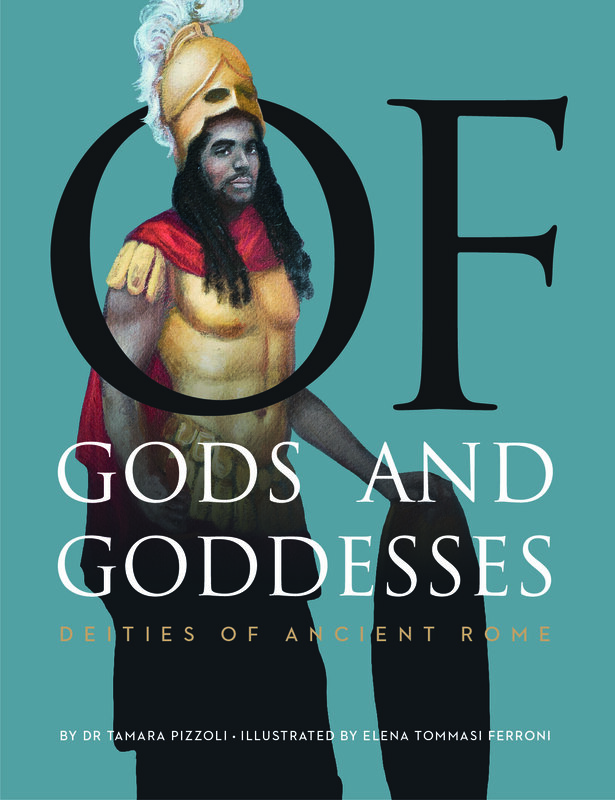 In Of Gods and Goddesses: Deities of Ancient Rome, master Italian painter Elena Tommasi Ferroni and I reimagined sixteen ancient Roman deities to reflect the multicultural society of today. Each illustration was painted in oil on 20×30 cm paper, and the original works of art as well as prints are available for purchase at www.theenglishschoolhouse.com. Written by Dr. Tamara Pizzoli, illustrated by Elena Tommasi Ferroni. 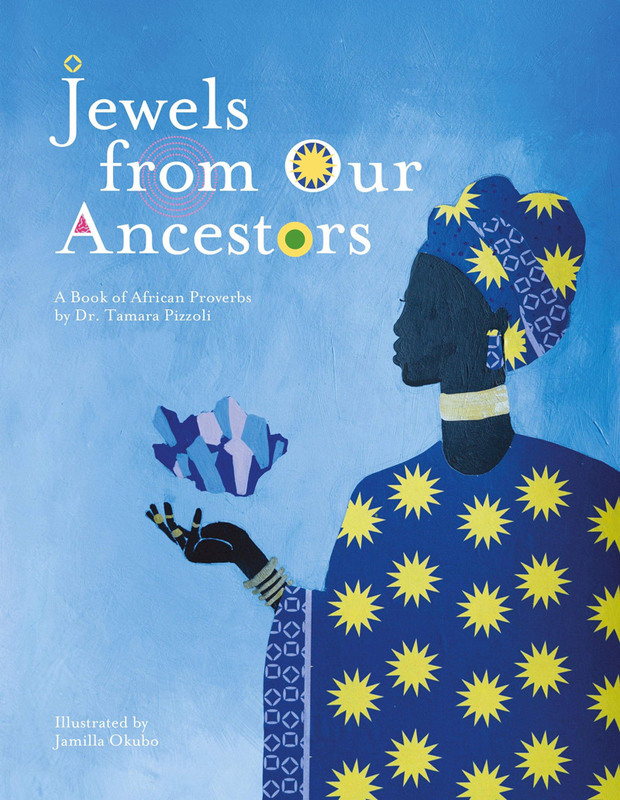 Jewels from Our Ancestors is a loving thank-you in the form of a short collection of proverbs. The book is dedicated to the elders who have come before us and gifted us with words of wisdom and truth in the form of succinct sayings that compel both readers and listeners to reflect and learn. 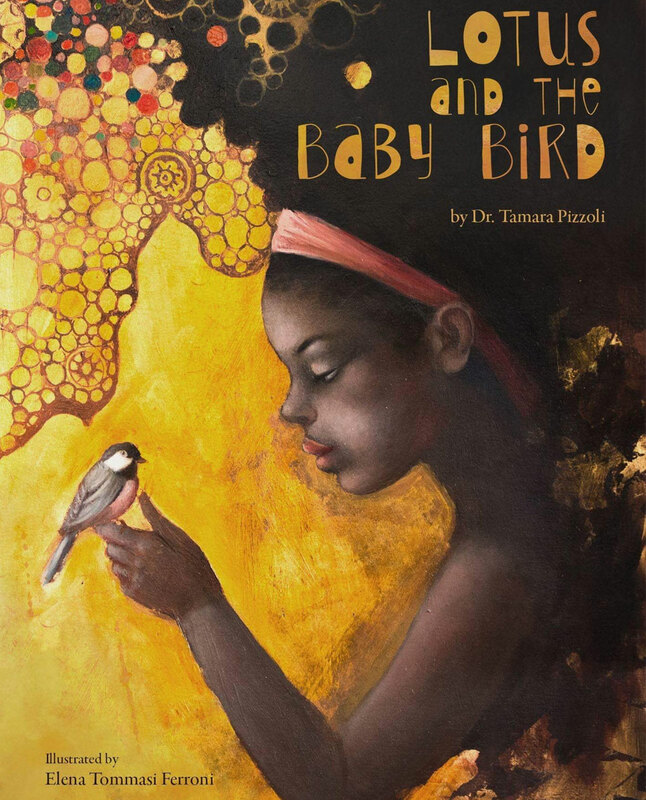 Written by Dr. Tamara Pizzoli, illustrated by Jamilla Okubo. 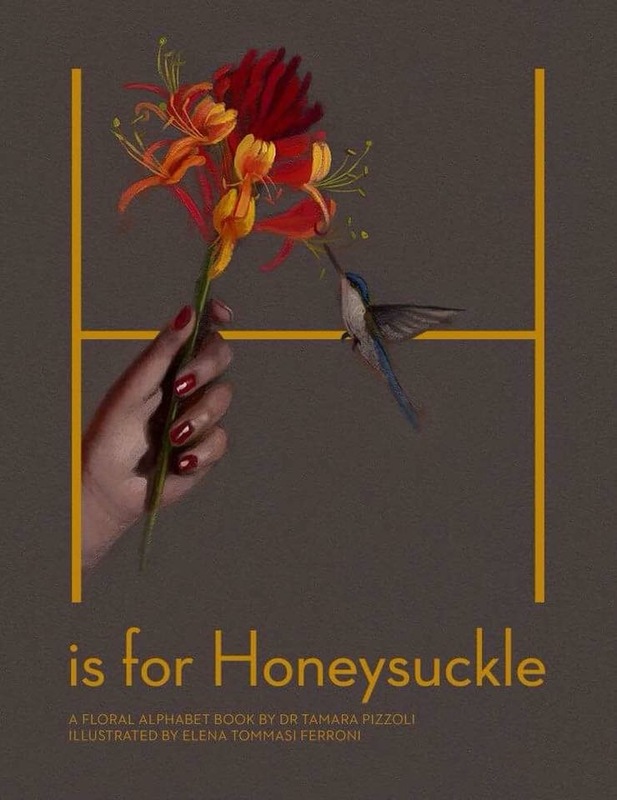 From Amaryllis to Dahlia to Narcissus to Zinnia, this book offers a lovely floral tour of the alphabet that exposes readers not only to the diversity of the twenty-six flowers featured, but the hands that hold and love them as well. Discover some of the most brilliant contemporary and past writers in this unique alphabet book. 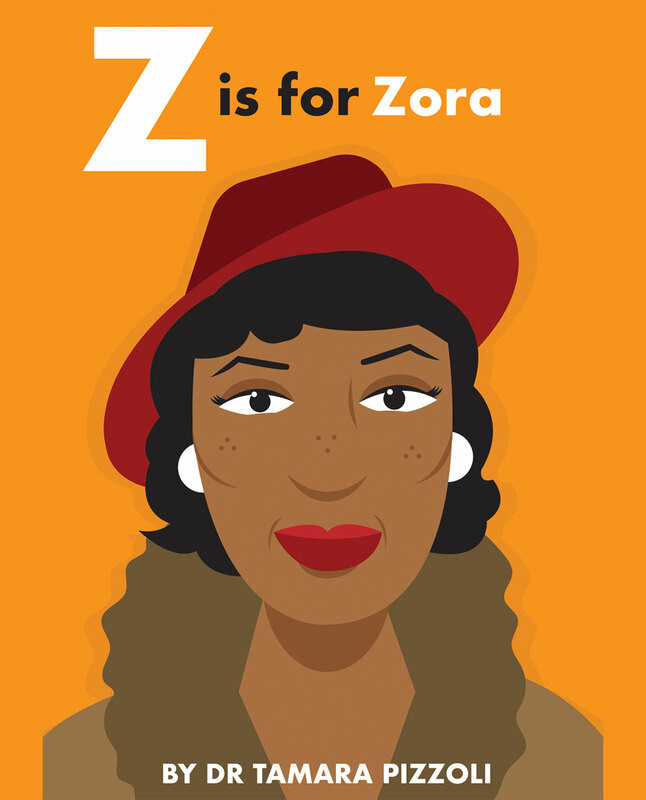 From Maya Angelou to Zora Neale Hurston, explore an alphabetized list of creatives who have informed and changed the hearts and minds of millions of readers worldwide through their wit, words and wisdom. Written by Dr. Tamara Pizzoli, illustrated by Howell Edwards. Milo is a kid who loves candy. He’s had a thing for sweet treats his whole life. 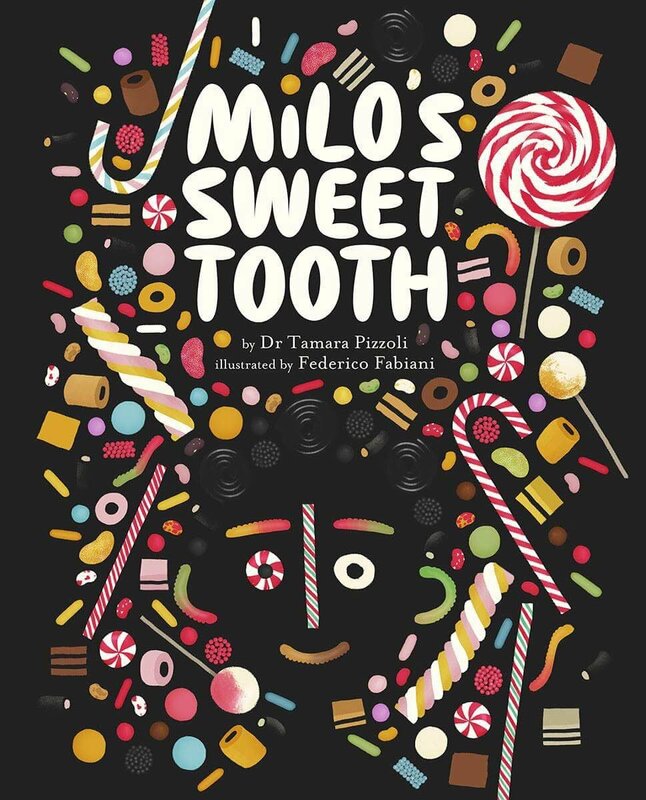 His family accepts Milo’s affinity for all things sweet as just part of who he is, until one day his candy obsession goes overboard, and an intervention is needed. Milo ultimately learns that anything a candy company can make, nature already does better. Written by Dr. Tamara Pizzoli, illustrated by Federico Fabiani. Rubbing Gravy on Emotional Wounds and Other Sad Stories. Tales of the hilarity and resilience sometimes found in grief. Written by Dr. Tamara Pizzoli. Lotus is an eight-year-old third grader who lives in the historic center of Rome, Italy. One Wednesday morning, while on her way to school, an unfortunate event occurs. Lotus has a delayed reaction to this unsettling event. Her response proves to be too little too late, leading Lotus to learn the power of pondering, possibilities and tough lessons that may ultimately spark the discovery of one’s life purpose. King Ademuyiwa is the ruler of his kingdom in Nigeria. Known as King Ade for short, the child royal has many responsibilities and important decisions to face daily. To assist in helping him juggle such a heavy load while maintaining a calm disposition, King Ade relies on the sweet sounds of his personal flute player, Kola the flautist, whose sole job is to play for the king whenever he is beckoned. But one day Kola decides that he deserves a day or two off and takes them, and a lesson is learned by all in the kingdom, including King Ade himself. 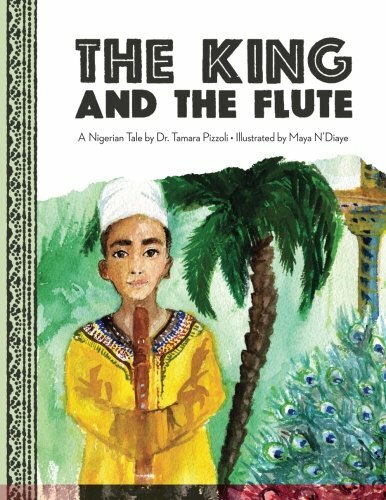 Written by Dr. Tamara Pizzoli, illustrated by Maya N’Diaye. 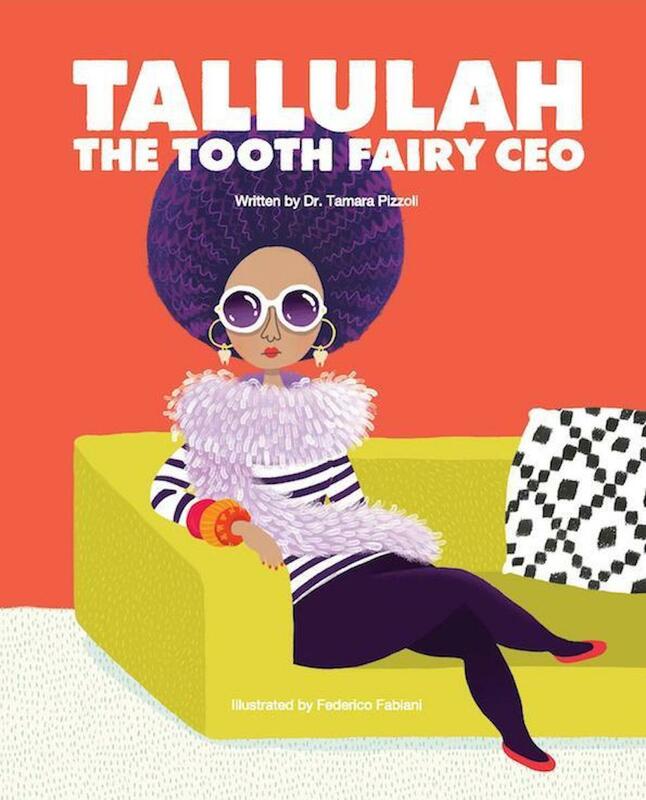 Tallulah the Tooth Fairy is not only the founder and CEO of the largest teeth collecting organization on the planet, Teeth Titans, Incorporated, she’s a clever and wildly successful business woman with an affinity for all things dental. A natural innovator and problem solver, Tallulah finds herself unexpectedly stumped when six year-old Ballard Burchell leaves a note instead of his tooth under his pillow. What’s a Tooth Fairy to do when there’s no tooth to take? 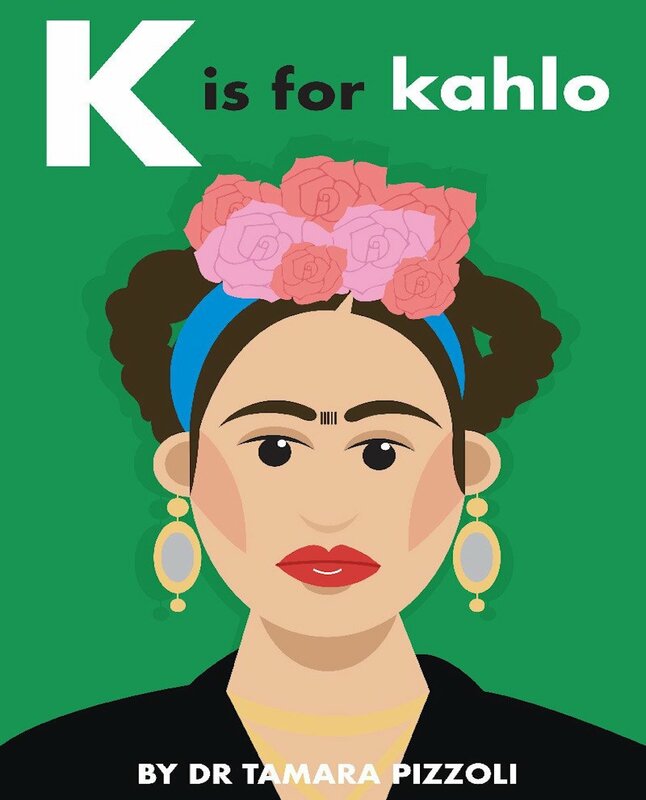 What better way to introduce kids to notable artists from around the world than through the alphabet? 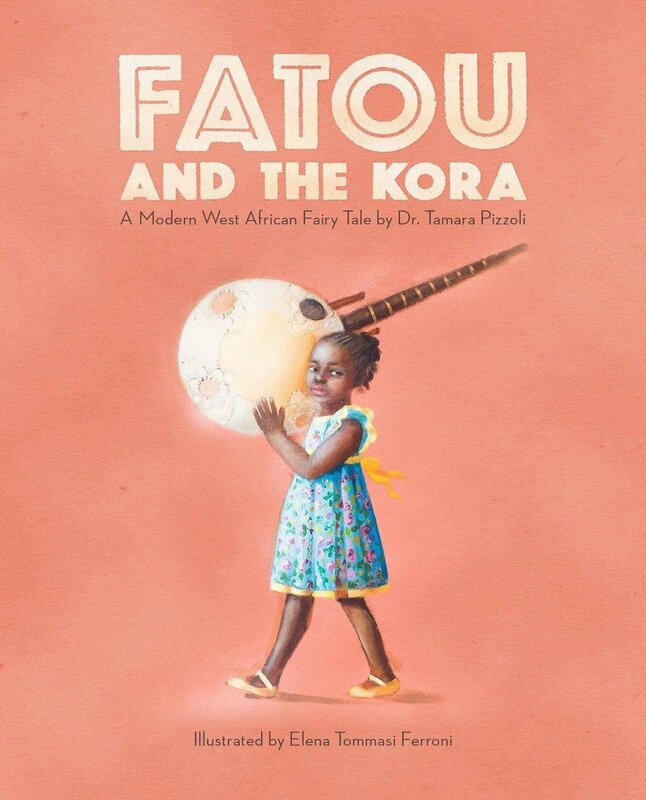 Fatou and the Kora is a modern West African fairy tale set in Dakar, Senegal. Fatou, a young Senegalese girl, resides in a region where it is thought by many that the kora, or the African harp, is an instrument that is not to be played by girls. Fatou follows her instinct and discovers a generational gift within herself, while also teaching her father an unexpected lesson. 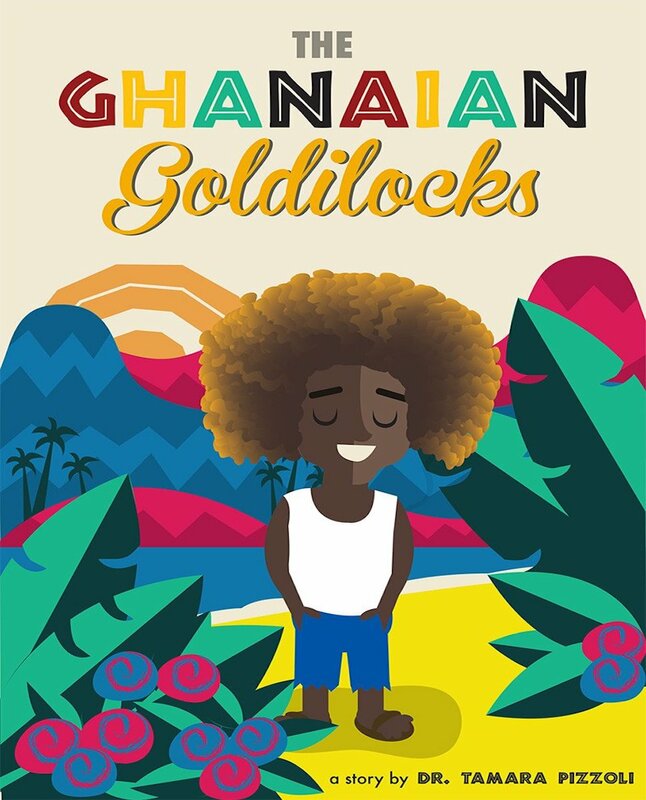 Set in Accra, Ghana, The Ghanaian Goldilocks is a modern twist on the classic Goldilocks fairytale. Like traditional kente cloth, West African culture and themes are woven seamlessly into the story of a boy with sun lightened hair named Kofi, better known to his friends and family as Goldilocks. Like the Goldilocks in the traditional tale, Kofi has been known to get into some trouble here and there, but it’s an unexpected visit to a neighbor’s house that teaches him a valuable lesson of a lifetime. 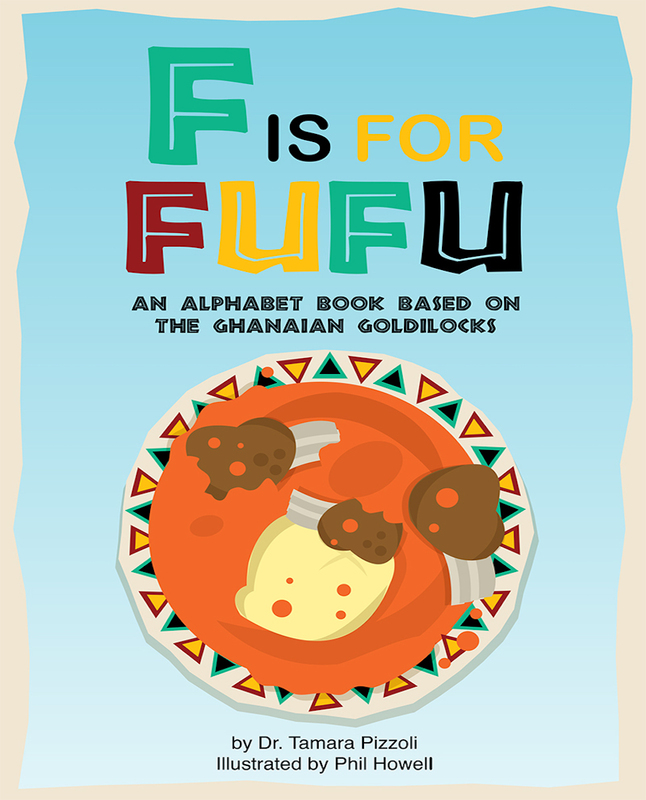 F is for Fufu is an ABC book unlike any you’ve ever seen. Enjoy references to the modern West African tale The Ghanaian Goldilocks while learning more about the culture, people, traditions and staples of the gorgeous country of Ghana…all while practicing your ABCs. Nefeterius Akeli McPherson was the 39 year old fabulous, smart, and wildly capable big sister of the author. After a long battle with a rare genetic liver disease that resulted in her needing a liver transplant, she passed away in March of 2014 unexpectedly after being diagnosed with cancer only eight days prior. This book is the result of the author wanting to explain just how much her two sons’ aunt, Auntie as they call her, accomplished while alive. The book also attempts to address the concept of the cycle of life and death to a young audience. 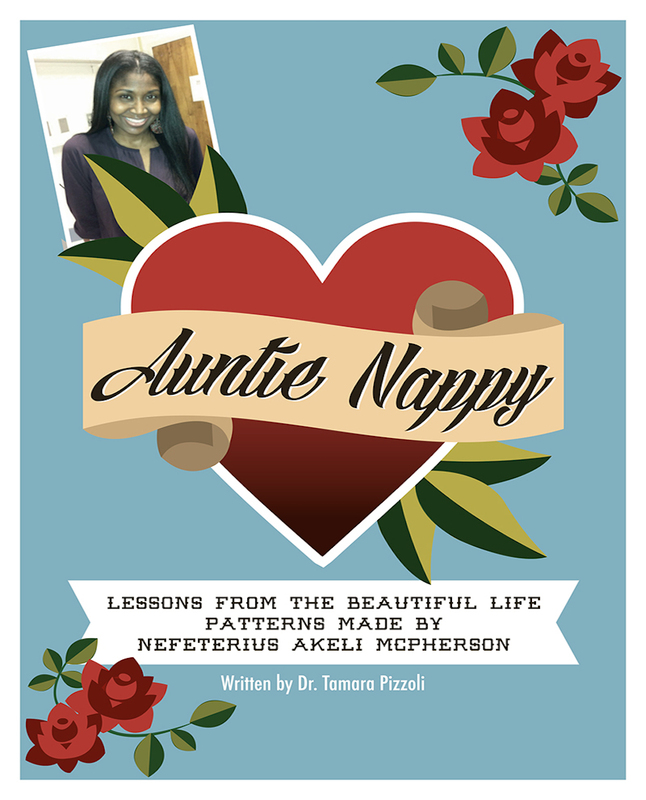 The author’s main goal in writing Auntie Nappy was to celebrate a life gorgeously lived, and to explain to her sons why they will no longer see their Auntie, of whom they were very, very fond. 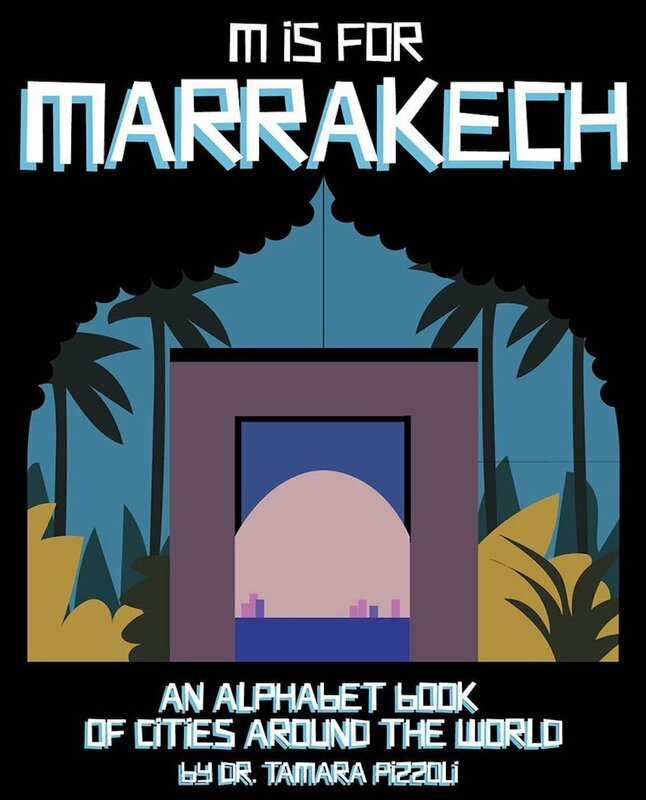 Come along for an alphabetical adventure around the world. Join the author and visit fascinating cities all over the planet while brushing up on your ABCs. 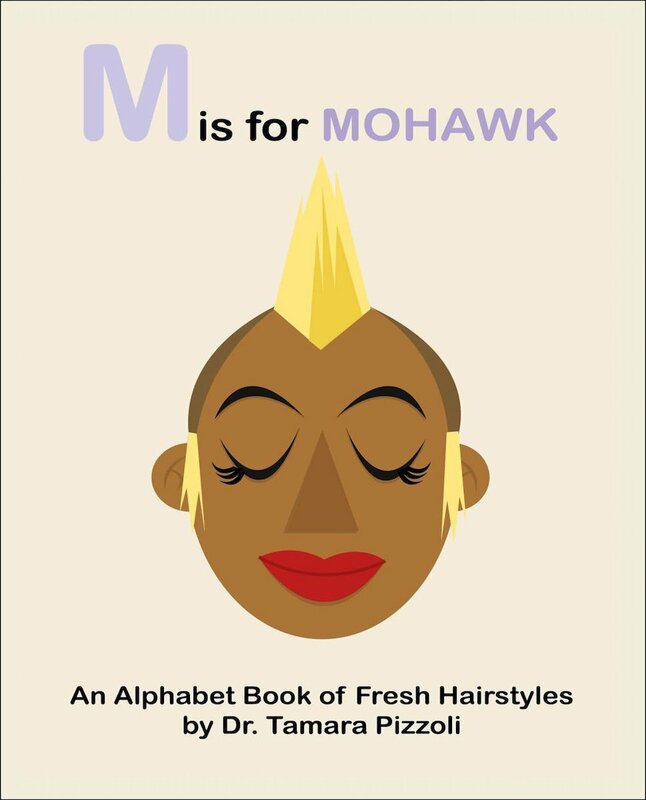 M is for Mohawk: An Alphabet Book of Fresh Hairstyles is a fun and funky tour through the abc’s of hairdos. Enjoy the simultaneously diverse and uniform illustrations on each page and get in on the fun by drawing your own hairstyle for letter Y. 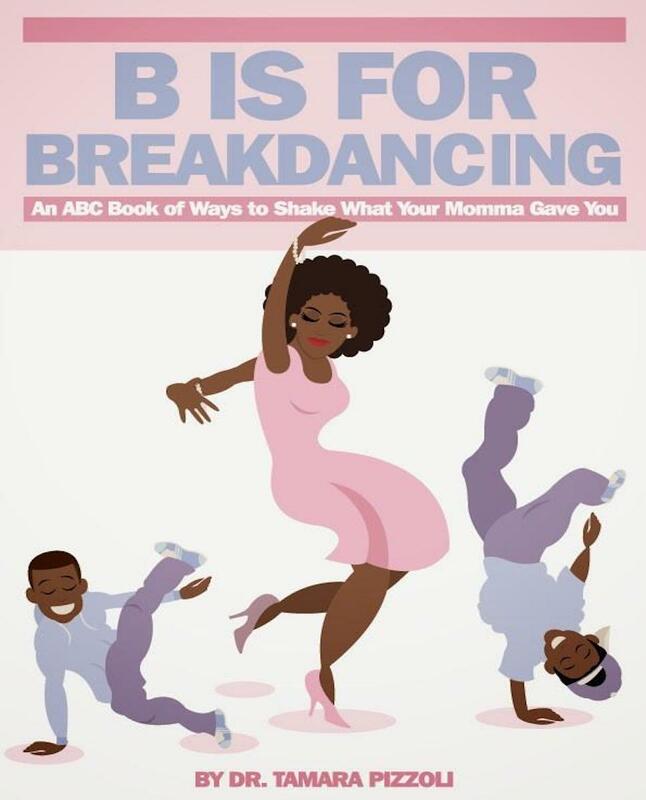 An ABC book all about dances. Returns, refunds and cancellations are not accepted. © 2019 The English Schoolhouse.